Even before construction of Biltmore House was officially completed, George Vanderbilt offered world-class hospitality to family and friends who came to visit the estate. 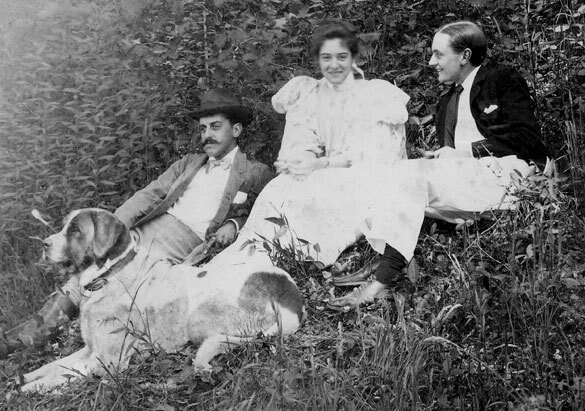 In honor of our upcoming A Vanderbilt House Party – The Gilded Age exhibition, let’s take a look at some of the very first guests of Biltmore: newlyweds James and Adele Burden. Adele was George Vanderbilt’s niece, the daughter of his sister Emily Vanderbilt Sloane. She had been a frequent visitor to the estate, even during early stages of construction, and her love of Biltmore is evident in her diary entries. In fact, 1894 would be a significant year for Adele. 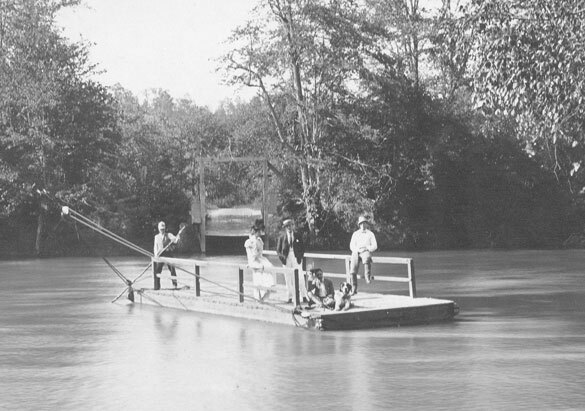 She was courted by a handsome young man, James “Jay” Abercrombie Burden, whose family owned the Burden Iron works, one of the most successful such firms in the country. Adele had no shortage of suitors, but with his clean-cut good looks, Harvard education, and superior athleticism, Jay soon won Adele's heart. He proposed in December and the couple married on June 6, 1895, in what was reported to be one of the costliest American weddings held at the time. Of all the possible destinations far and wide, the Burdens chose Biltmore as the place to begin their honeymoon. 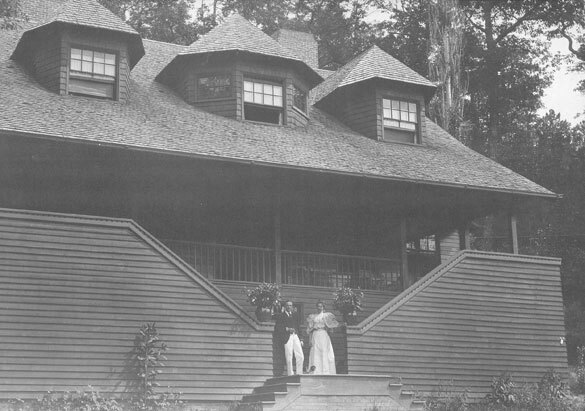 They spent the first 10 days of their married life at River Cliff Cottage, which was built at the same time Biltmore House was under construction. Adele and her husband Jay were the first in a long line of friends and family welcomed as guests at Biltmore to experience what would become George Vanderbilt’s legendary hospitality. This rich history of entertaining is brought to life with A Vanderbilt House Party – The Gilded Age, offering you the opportunity to imagine yourself a Vanderbilt houseguest at a turn-of-the-century house party. Join us February 8 through May 27 for this one-of-a-kind exhibition featuring immersive audio storytelling and and displays of elegant clothing recreated from archival Vanderbilt photos and portraits. What happened to the cottage? Where was it located? Is it still existing?